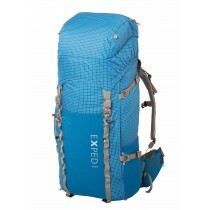 Hiking and outdoor Glittertinden. The Glittertind is the second highest mountain in Norway and Scandinavia (2465 meters). 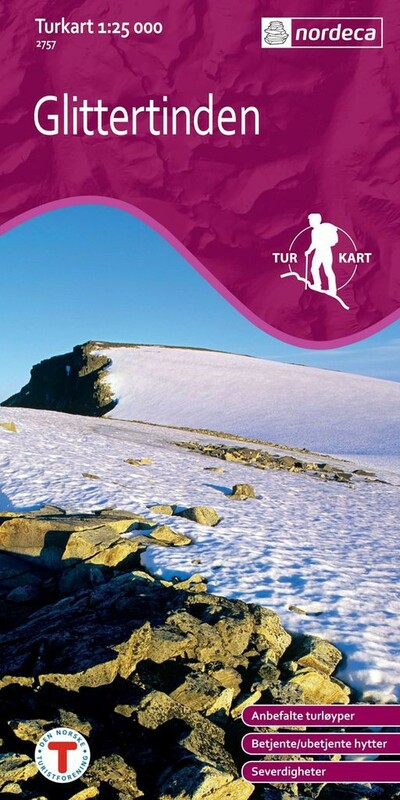 Glittertinden map gives a detailed description of the land, hiking trails and ski slopes. 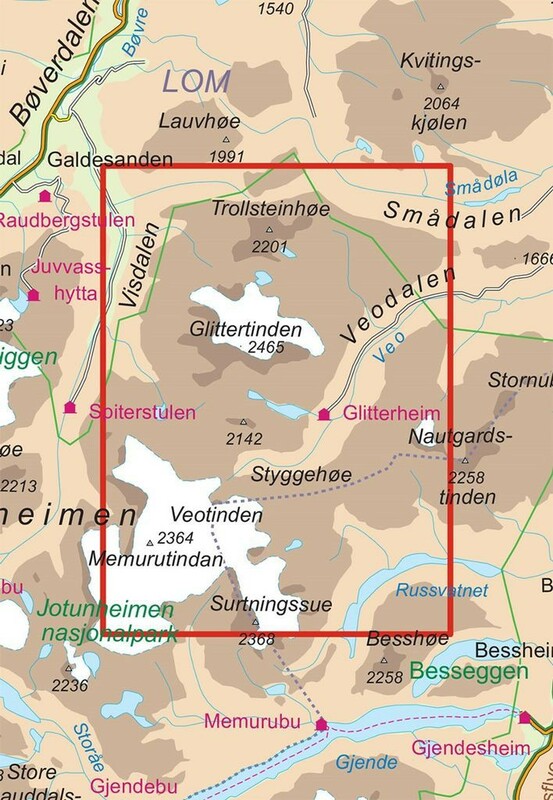 The map covers the top of Glittertind, the area of Glitterheim and lake Russvatnet. Map Glittertinden no. 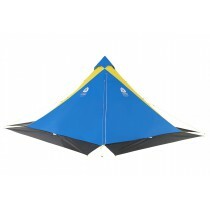 2757 is compatible with GPS (UTM).